Bulgaria’s second largest city Plovdiv (Greek name: Philippopolis) is important both culturally and commercially. 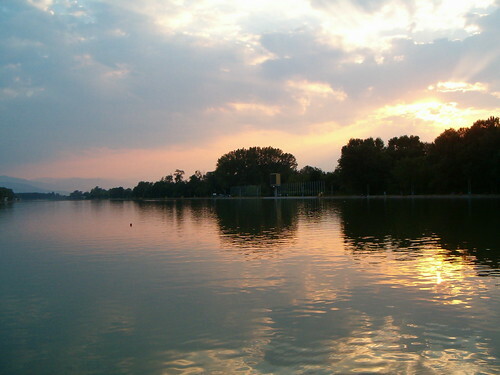 Also known as The City of the Seven Hills, Plovdiv is cut in half by the River Maritsa. Plovdiv’s history can be traced back to Neolithic times (4000 BC) and the city’s one of the oldest in Europe. Throughout the last two thousand years, Plovdiv has been a Thracian, Greek, Roman, Byzantine, Ottoman city before finally becoming Bulgarian. Spring and autumn are good times to visit to avoid the temperature/weather extremes of heat in the summer and cold in the winter. Plovdiv is host to several events including an annual International Theatre Festival, an International Trade Fair and a Television Festival. 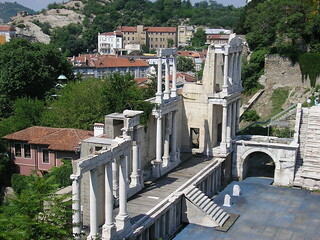 In addition to remnants from almost all its historic periods, Plovdiv has not one but two ancient theatres; the Odeon, the smaller theatre of Philipopolis, and the Roman Theatre. The International Folklore and Verdi festivals are held annually at the restored Roman Theatre. The Ottoman period’s mosques and baths are well preserved. 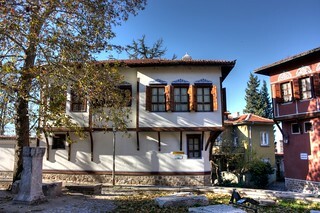 The Archaeological Museum and the Historic Museum of Plovdiv offer further insights into the city. The former Krumovo Airbase, located a few miles outside the city, is now an aviation museum. From Plovdiv, day trips to the Pamporovo ski resort, the Krasnovo, Banya and Strelcha spa towns and the Bachkovo Monastery are possible.